A public holiday renders more time to potter in the kitchen preparing food that takes a little longer to cook, could be fiddly or something you like to take your time with. And so this evening the beautiful shiny aubergines (egg plant) that I had been given in the week from one of my son's vegetable patch was giving me the guilts. I am not a huge fan of the vegetable, having said that when my daughter-in-law (who is Italian) cooks them I always love them even when they are plainly pan fried. 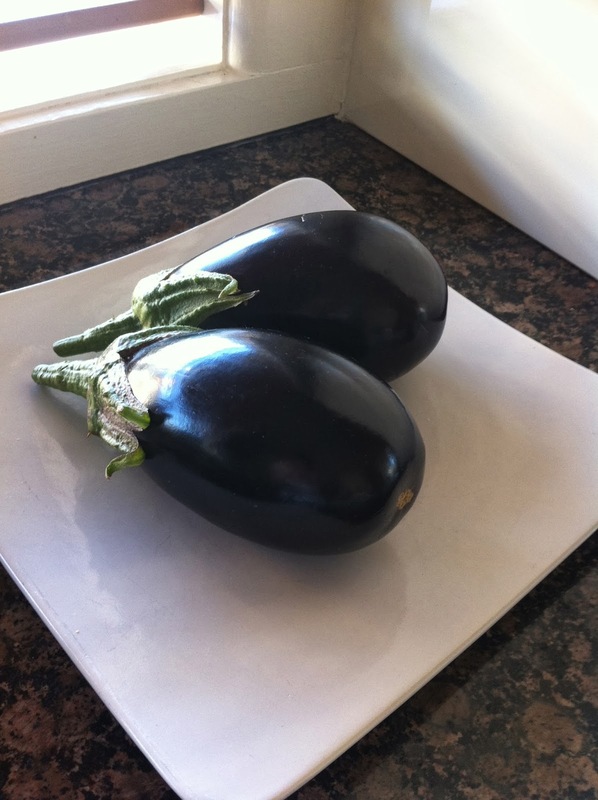 So when I said to the man I was cooking Moussaka with those lovely egg plant there was silence - he is not a fan either. I also had some lamb stir fry meat defrosted and decided to use that instead of minced lamb (I did dice it quite small). 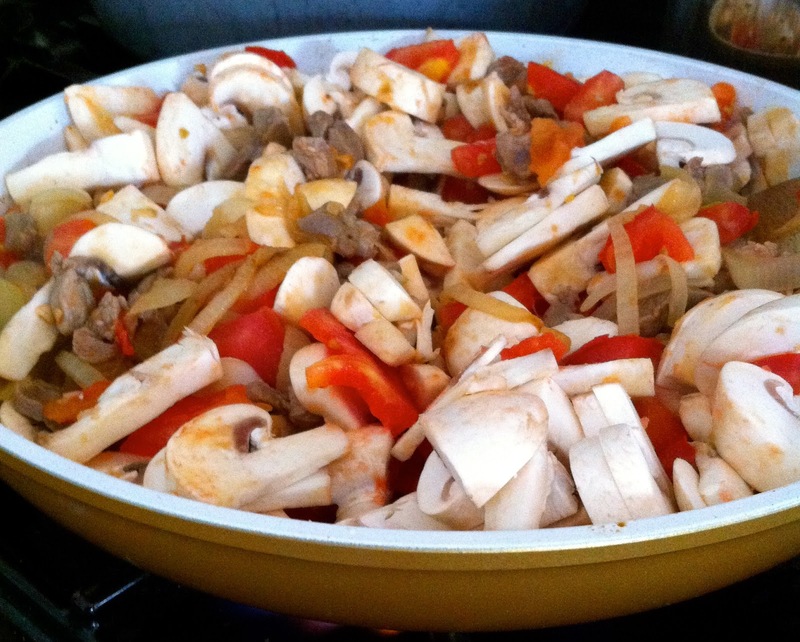 In the middle of cooking this dish my 4 year old granddaughter visited from next door (her 20th visit for the day!) and declared that maybe she should stay for dinner cos it smelt better than her house! (She is half Greek into the bargain). Anyway here is the recipe I adapted tonight from "cafe food at home" by Rosanna Thomson and this makes 4 ample serves 6 at a push. Add lamb and fry until lightly browned. 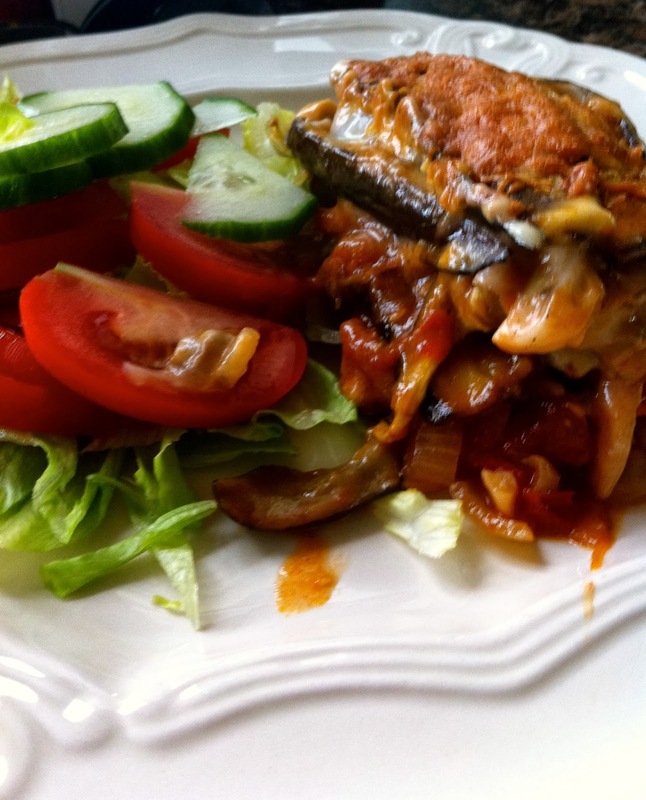 Heat remaining oil in a frying pan, and fry eggplant slices on both sides in batches and drain of absorbent paper. 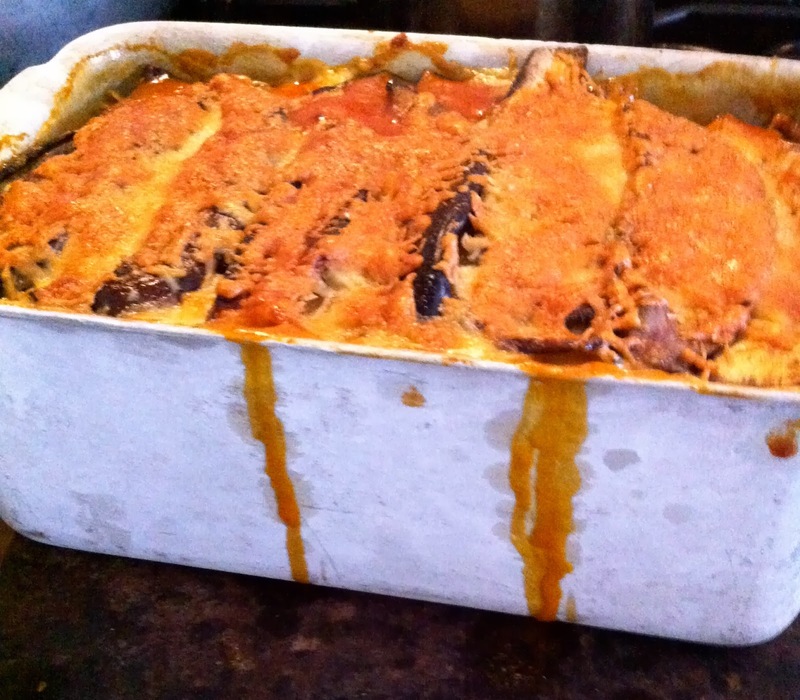 Line casserole dish/tin with slices of eggplant. Spoon over the meat mixture, season with salt and pepper and sprinkle with parsley. 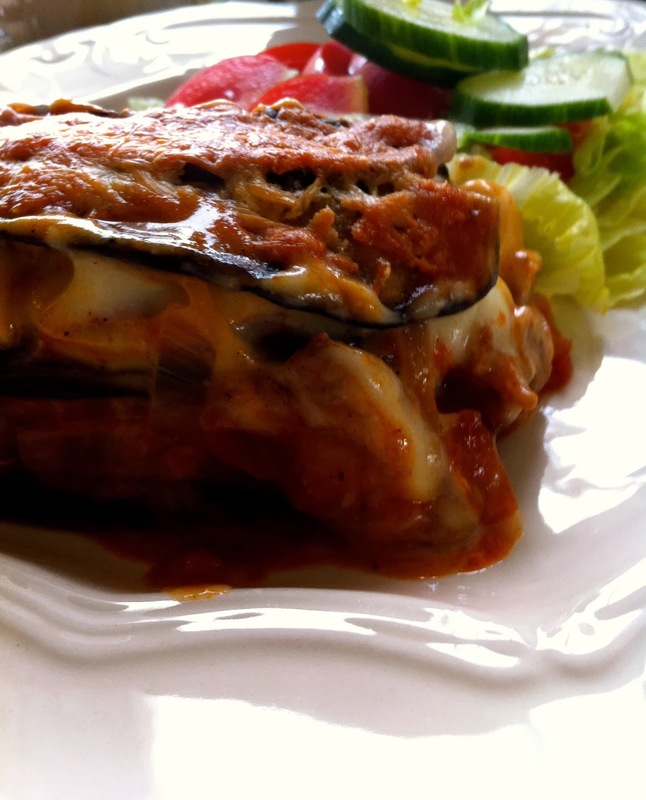 Cover with another layer of eggplant and repeat the process until the dish is full finishing with a layer of eggplant. Sprinkle with parmesan cheese and cook in the oven until golden brown - approx 15-20 minutes. Tip: place the very full loaf tin on a baking tray to stop the drips spilling on the floor of the oven and smoking! Variation: Before adding the parmesan cheese, pour over a layer of béchamel sauce then the cheese. As there were only two for dinner tonight there is some leftover for the little girl next door for her tea tomorrow. oooh yes please!... 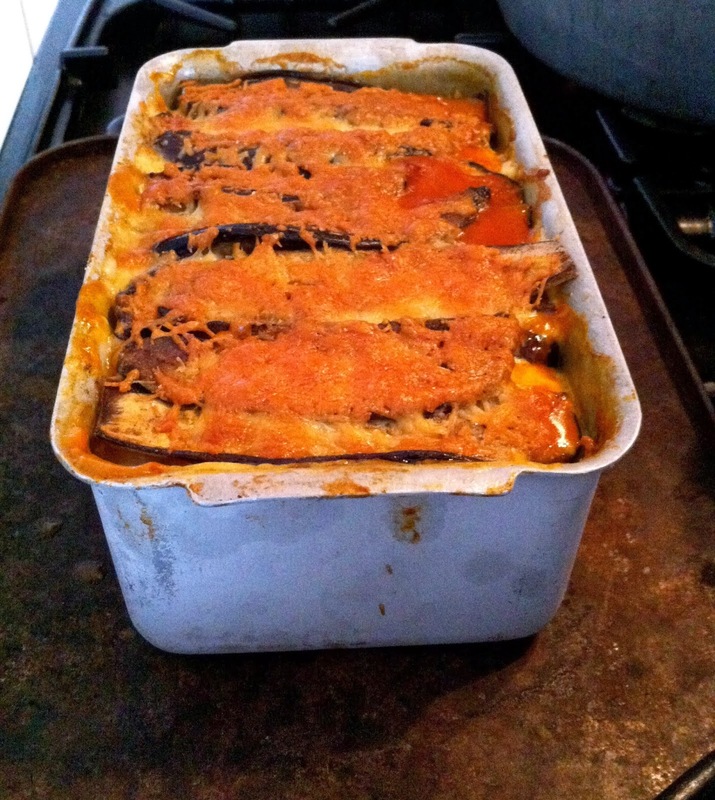 I haven't made a moussaka for years and this cheesy, tomatoey gooey lovely thing is making me yearn for the taste... gorgeous! It was pretty good even if I do say so myself! An oldie but a goodie. Glad I was able to contribute this time. 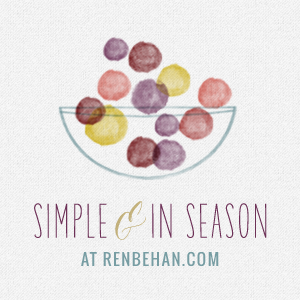 Some great recipes you received.